Faisal Yahya Asiri, Abdullah Saleh Altera, Adel Alshahrani Mohammad Mahtab Alam, Mazen Alqahtani, Faizan Zaffar Kashoo, Mahamed Ateef. 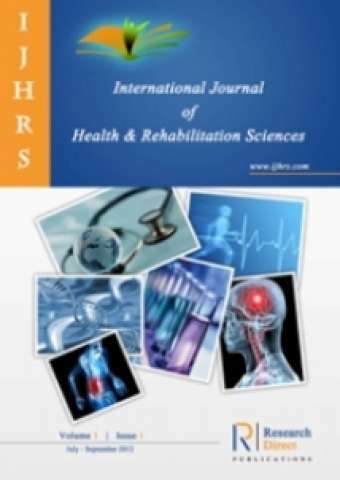 Background: Home Health Care (HHC) services for stroke survivors in Saudi Arabia has just recently developed and were not studied in the literature, which requires efforts in enhancing the service utilization for better care delivered to HHC patients. Objectives: The purpose of our study is to explore stroke patients’ characteristics and associated factors, and the service utilization especially PT visits among patients receiving HHC services in Aseer region, Saudi Arabia. Materials and method: A total of 71 stroke patients were admitted to the HHC program and were included for our analysis. They received HHC services and undergone various health services including Physical Therapy, Nursing, and Medical Doctor Visits. We selected factors of interests in our correlation analysis. These selected factors that have an impact on PT outcomes for patients receiving HHC were the following: Age above 65, Urinary Incontinence, Impaired functional mobility, and cognitive impairment. Results: The majority of our patients were 65 years of age and above (n= 64, 90.1%). Regarding the involvement of the selected factors, 71.1% of our patients had Urinary Incontinence, 63.4% were cognitively impaired, and 95.8% of our patients had impairment in functional mobility. In terms of the activities of daily living, 80.3% (n= 57) of patients were depend others for their activities, 9.9% (n=7) were independent, and 8.4 % of patients (n = 6) needs the assistive device for their activities. Conclusion: HHC service beneficiaries are primarily males, aged greater than 65 years and dependent on others for their functional activities among Saudi Arabia stroke patients. Functional mobility impairment presents in almost every stroke HHC service beneficiaries which has low positive with urinary incontinence and negligible correlation with cognitive impairment. Only less than 20% of beneficiaries are prior non-hospitalized and requires more physiotherapy visits than priory hospitalized one which is lowest amongst other health care (i.e.) physician and nursing care.